The Jero TR line of knives represents a high level of quality and innovation. The TR line was designed for superior grip and control, and manufactured using materials and production steps to ensure the knives could handle the abuse of commercial use. 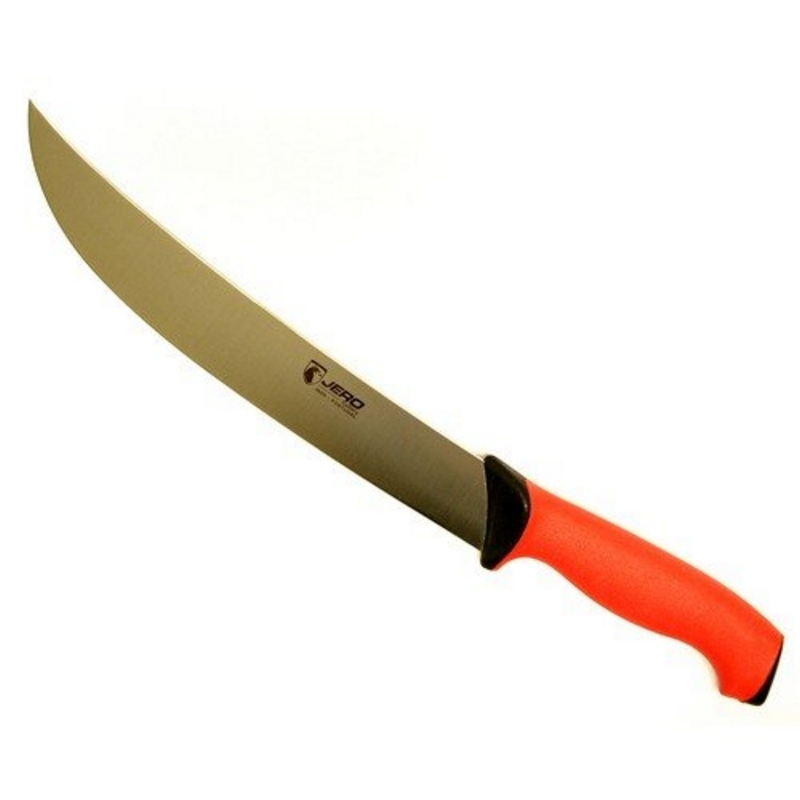 The high-carbon German stainless steel blade offers strength and durability, using a time test steel formula used by many German and other European knife manufacturers. The dense solid core handle securely supports the blade, while the thick outer Santoprene brand layer of polymer, adds a rubber like grip to the knife, providing ideal wet or dry slip resistance. The multiple hand position areas on the handle allows for blade control when providing numerous cutting actions. Made in Portugal. All Jero knives feature a lifetime warranty on materials and workmanship. Jero is a leading manufacturer of commercial grade knives, and a leader in cutlery design. Their mission is to produce not only quality knives, but knives that perform well for their intended use.